Safety and security are always a concern when you travel, and a Caribbean vacation is no exception. It's a fine line between relaxing and letting your guard down, so while it's fine to chill out and have a good time on your island adventure, there are a few sensible precautions you should take before leaving home and once you arrive at your destination. The U.S. State Department publishes three types of information useful to travelers: Consular Information Sheets, which provide a broad overview on foreign countries, including crime and safety facts; Public Announcements, which include generalized cautions about ongoing security issues; and Travel Warnings, which are the most serious and serve as a red flag about imminent dangers. Googling "crime" and the name of your destination can yield useful tidbits on crime and safety that you won't always get from tourism-oriented websites. Sites like TripAdvisor offer insights from fellow travelers on a wide variety of travel topics; some entries can be taken with a grain of salt, but others detail first-hand experiences with petty theft and other crime that can help you avoid trouble. Never set out on an independent tour of a strange country without consulting a local expert first. Some locals may take a "no problem" attitude, but you usually can get a straight story on island safety conditions from your hotel concierge. On almost any Caribbean island there are good areas and bad ones -- just like back home -- and trusted locals can tell you which places to avoid. A reputable guide not only can steer you clear of troubled neighborhoods, but also can act as a buffer when encountering panhandlers, pushy street vendors, potential con artists, and other sketchy characters during your travels. Car break-ins are among the most common crimes in the Caribbean. If you must leave items like cameras or other valuables behind, lock them in the trunk or put them out of sight, such as in the glovebox. In some Caribbean countries, rental cars are easily identified by their license plates, making them convenient targets, so an abundance of caution is warranted. Keyless electronic door locks may make the front door of your hotel room less accessible, but many travelers forget to lock up the sliding doors leading out to balconies or lanais. To keep your room safe from intruders or thieves, make sure that all the doors are locked before you leave or go to bed at night. Most hotels have an in-room safe that can be used to store valuables when you're out on the beach or touring. It only takes a second to program the lock, and using the safe to store your jewelry, passports, etc. could save you lots of money and hassles. You don't want to leave purses, wallets, or jewelry unattended while you go for a swim. Just take whatever cash you need or a single credit card; leave the rest in the room safe. 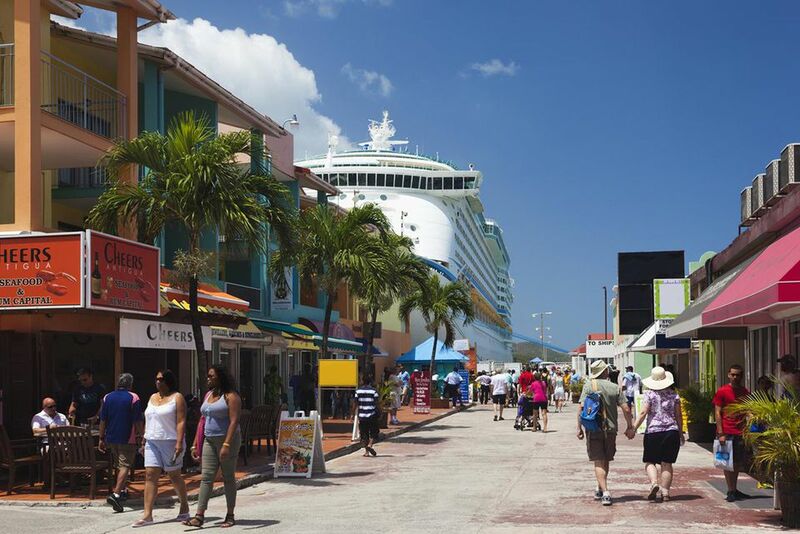 Yacht thefts have become a problem in some Caribbean destinations. If you arrive by boat, choose a marina with adequate security and be sure to lock up your cabins before heading out to explore. Be careful at "jump-ups" or street parties, dance clubs, big party bars, or anywhere else where alcohol, tourists, and locals mix. Suffice to say that your safety risks in such settings rise in proportion to your alcohol consumption. Risks include everything from pickpockets to sexual violence and physical assault. Mixing with the locals is a great part of the island experience, but don't go alone, drink in moderation, and don't get too caught up in the party. Not only is it illegal -- even in Jamaica -- the last people you want to be associating within the Caribbean are drug dealers. The vast majority of crime and murder in the Caribbean is associated with the drug trade. Tourists aren't usually targeted, but you would hate to be the exception to the rule. Don't wander the beach -- or anywhere else -- alone at night. Enough said.